While you are gathering signatures from your excited and enthusiastic neighbors, you may encounter some questions that you aren’t prepared to answer. You can always contact me directly for help with this process. The following link is to the letter we wrote to our neighbors before we asked for their signatures. It is full of some helpful facts and answers to some common questions you may encounter. Please use it as a guide or fact sheet to feel more prepared to answer questions your neighbors may have about honeybees. Good luck! This entry was posted in Hive Hosts on February 23, 2013 by skinny_jake. February always feels like the longest month to me. It is one of the toughest for the bees, and is usually the month that hives will succumb to the elements. The unrelenting cold forces the bees to eat their surplus honey for energy to create heat and stay healthy against varroa mites and other diseases that plague them. The good news is that in only four weeks or so when there are more consistent non-freezing temps, we will begin feeding the hives that survived the winter. 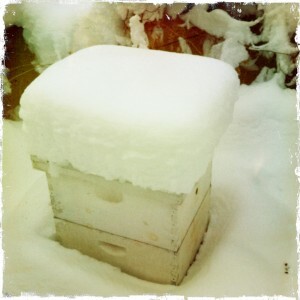 These hives will be split into new colonies of bees, many of which will be finding homes in your backyards this spring! Fencing Requirements. In your permit application packet, there should be detailed information about fencing requirements and flyaway barriers. Read them carefully and make sure your yard meets the requirements. 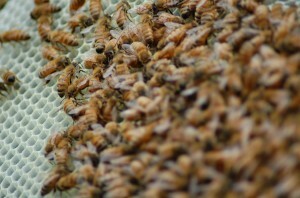 If it doesn’t and you’d still like to host a hive, call me and we can make an action plan for meeting the guidelines. Consider Location. Your application requires a map of your property and the location of your hive. You don’t have to set anything in stone just yet, but consider all of the requirements you need to meet for approval, and then consider that bees need a good windbreak from the north and west to survive the winter, as well as southeastern exposure for morning sun and afternoon shade. No yard has the perfect conditions, and honeybees are able to adapt very well. This entry was posted in Hive Hosts on February 5, 2013 by skinny_jake. 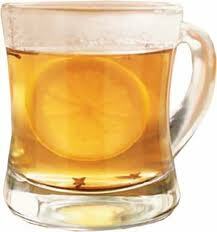 Nothing like a toddy for the body on a cold winter’s day. 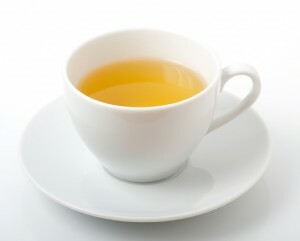 Stir together with Skinny Jake’s Fat Honey to taste and drink warm. Yum. This entry was posted in Recipes on January 29, 2013 by skinny_jake. Preheat oven to 350. in a food processor, Process almonds + salt to a fine crumb, then add honey, almond extract, eggs, oil and butter. Process until well mixed. Add flour + baking powder and pulse just until blended. Butter pan well using about a Tbsp of butter, then throw in 6 Tbsp sliced almonds and dust with 1 Tbsp sugar (optional, for sugary crust). scrape batter into prepared pan and bake 30-40 minutes, until toothpick comes out clean. don’t overbake!!! 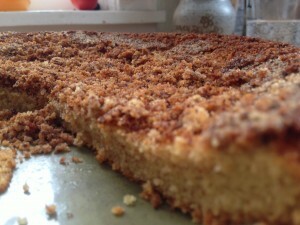 This entry was posted in Recipes on January 28, 2013 by skinny_jake. Spring and summer seem far away, but it’s already time to start preparing for hives in your backyards. Winter is a great time for reading and learning about bees, thinking about where in your yard the bees will do best, and preparing your application materials for a hive permit. New hive hosts should call Minneapolis 3-1-1 to request an application packet from Animal Control. The application will give specific information about where a hive can be placed in your yard. You can call or e-mail me to assess what location in your yard will be best. If you are interested in learning more about honeybee behavior, beekeeping techniques or just want to see some cool pictures, I recommend reading Honeybee Democracy, The Hive & The Honeybee, and The ABC and XYZ of Beekeeping. Some of these books were published more than 100 years ago, which shows how incredibly consistent honeybees are in their behavior! Start thinking about all that delicious honey that will be made from the flowers in your backyard and neighborhood. Yum. This entry was posted in Hive Hosts and tagged Minneapolis honeybees, urban beekeeping on January 28, 2013 by skinny_jake.